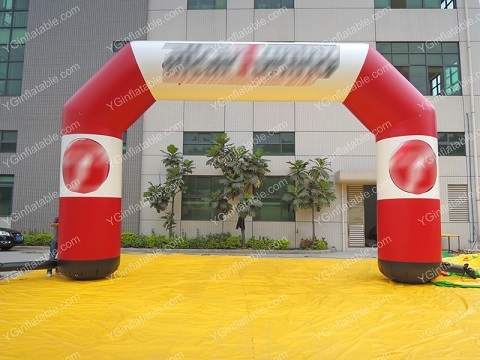 As a new means of publicity, the inflatable arch has a good effect in advertising. Although people often call the inflatable arch "rainbow door", but we often see the inflatable arch is red, is a symbol of joy, festivity. With the continuous development of propaganda means, the shape of the inflatable arch has gradually changed, with the appearance of the arch with strange shape and the addition of some strange shape decorations on it, which can attract the attention of passers-by. The shape can be kept under the condition of continuous inflation. If it is not damaged during operation, the shape can be kept. inflatable arch can saved and used, it is durable and easy to clean. Just wipe the dirty parts. The inflatable arch can be folded after it has been deflated to save space and storage.